This post was written by Honor’s Bio student, Isabel López Molini. Exoplanets are found outside our Solar System. They revolve around a different star. The NASA Kepler Space Telescope discovered the first near earth sized planet, marking the journey to finding another “Earth”. This planet was called Kepler-186f, dedicated to the astronomer Johannes Kepler for his laws on the idea that the planets orbited the sun and the orbits were not perfect circles, but ovals. Although it is not yet determined whether or not the planet is habitable, it is within a habitable zone. The problem is not the exoplanet itself, but the star it revolves around. Scientists believe the star might not provide enough sunlight or heat towards the planet, meaning that life may not be possible. Nevertheless there have been other discoveries of exoplanets. Kepler was amused by the discoveries that Earth provided, but outer space was his biggest source of amazement. Kepler was an extraordinary scientist because had an open mind; wonder was an important part of his scientific mind. This is what scientists need in order to stand out. He not only thought of the impossible but, most importantly, he stayed true to his scientific beliefs and that’s how scientists encounter new discoveries. This exoplanet was discovered by the marvelous Kepler Space Telescope, also known as NASA’s K2 Mission. The Kepler Space Telescope is dedicated to finding planets outside of our solar system with similar size and characteristics to those of Earth. K2 searches for planetary transits and has fixed its gaze on regions of the sky with densely packed clusters of stars in order to find exoplanets. Since the launch of the observatory in 2009, astronomers have discovered hundreds of extra-solar planets, or exoplanets, through this telescope alone. Kepler 186f was found by NASA using a telescope named “Kepler Space Telescope”. The most amazing this about this exoplanet is that it is located in the habitable zone of its star and it’s similar in size as Earth. 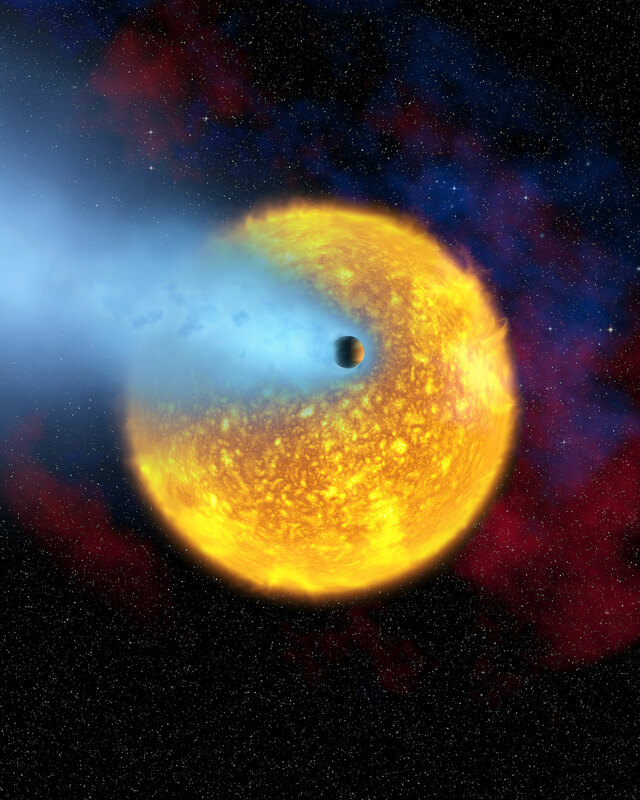 In addition, scientists predict that it may have an atmosphere with a composition of oxygen but they’re still not sure. Although this planet is located in the habitable zone of that star, the orbit may be too far away from it and the water is believed to be frozen. In contrast, if it’s not, there would be a probability to find simple life in its oceans. Nevertheless, it is believed that more exoplanets similar to Earth may be discovered like for example Kepler 62f, which is also found in the habitable zone of its nearest star. With hundreds of exoplanets being discovered one of them may be capable con containing life. The idea that there are more planets outside our solar system already discovered and yet to be discovered is so fascinating, even so after the discovery of Kepler 186f. These planets, now identified as exoplanets, which is a planet that orbits a star outside a solar system, and their possible habitable atmosphere would be a huge milestone for NASA. As seen in the video, NASA scientists first observe such planet and hypothesize whether life could be a possibility; considering that our planet Earth is very rich in the CHNOPS elements (which is necessary and crucial for life to be possible), it is evident that those are the first things scientists search for in newly discovered exoplanets/planets after observing their atmosphere. This and many more recently discovered exoplanets are named after the mathematician and astronomer Johannes Kepler, who declared laws that specified his ideas that planets orbit the sun and the orbits are not necessarily perfect circles. Speechless discovery that of the Kepler 186f, interested to know the development of this amazing research. “The first planet to be seen in transit (crossing its star) and the first planet to have it light directly detected. The HD 209458 b transit discovery showed that transit observations were feasible and opened up an entire new realm of exoplanet characterization. Just earlier this year another exoplanet was discovered under the name of Proxima Centauri b by the European Southern Observatory. Although it is unlikely to be habitable, a Russian investor has proposed to send unmanned spacecraft to the system for exploration which would take 20 years to get there and 4 years for information to be received on Earth. Proxima b is only 4.2 light years away so if it can be made habitable or it is found that is has habitable satellites it may very well be subject to human colonization with future spacecraft powered by EM drives. Imagine a few hundred years from now, waking up one day and say “Today I want to visit my friend from this other planet.” Currently, that is an impossible dream, but with breakouts like this one, it just might not be so impossible. Out of the 1,030 confirmed Kepler planets, only a dozen have earth-like features. Kepler 186f only receives a third of energy compared to what our planet receives from the sun, placing it right on the outside edge of the habitable zone. I hope scientists can find even more habitable planets in any time soon, that would take the meaning of human migration to another world, literally. Astronomers search for potentially habitable planets. Ideally, they want to find planets just like Earth, since we know without a doubt that life is only possible with a planet that simulates Earth’s conditions. The hunt is on for planets about the size of Earth that orbit at just the right distance from their star. These K2 are extremely important because Earth deteriorates faster every day because of the insensible habitants it houses. With this said, the only chance for the human race to survive is by discovering planets with habitable conditions.